Place cleaning cloth between camshaft gears to stop gears from rotating. Rotate engine crankshaft gear (Figure 1, Item 2) until all gear train aligning marks are aligned. (Figure 2, Item 2) to engine (Figure 2, Item 1). 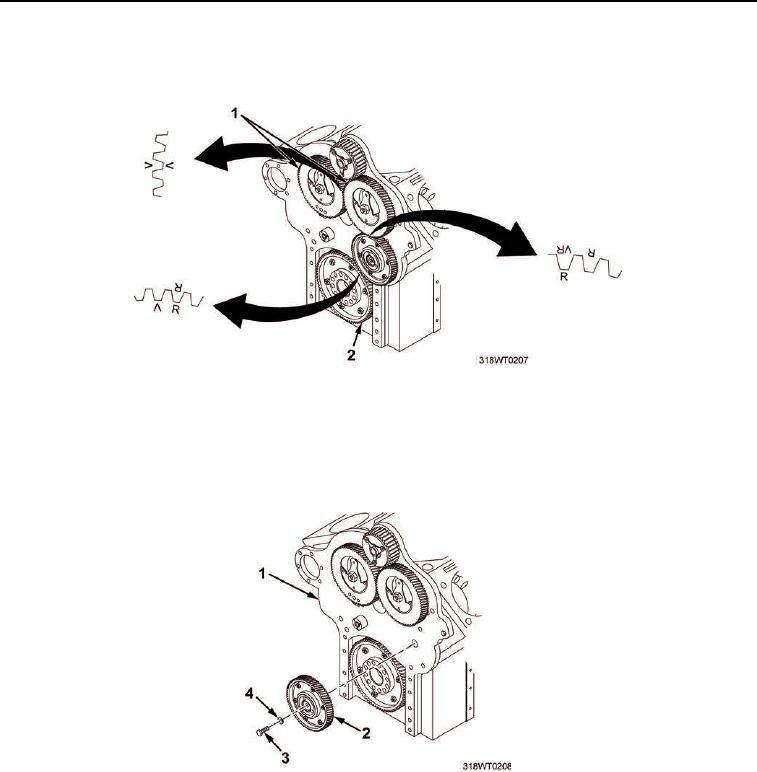 Remove idler gear (Figure 2, Item 2) from engine (Figure 2, Item 1). (Figure 1, Item 2) are positioned properly. Install idler gear (Figure 2, Item 2) flat against engine (Figure 2, Item 1) with alignment marks aligned. Install cap screw (Figure 2, Item 3) and flat washer (Figure 2, Item 4) on idler gear (Figure 2, Item 2).